Kudos to Gary Watkins at Autosport for breaking this story. Top GT3 racing outfit WRT are set to enter the European Le Mans Series round at Spa later this month in LMP2 initially with a one-off effort with a Ligier Judd and an eye-catching driver line-up. 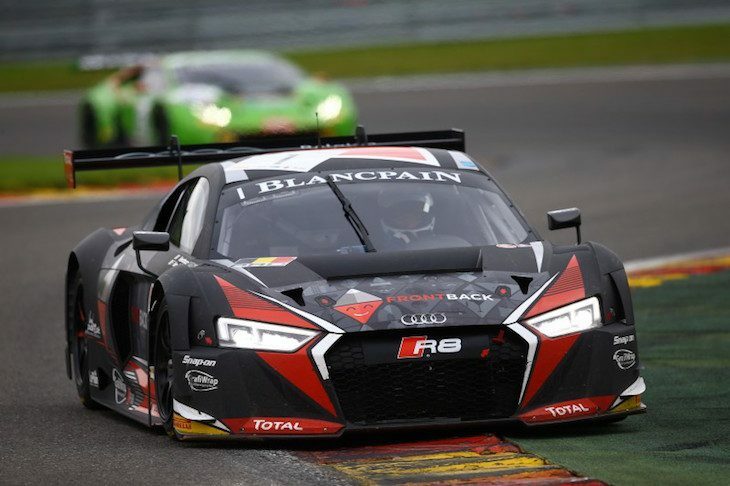 WRT GT racer, and ex Manor and G-Drive LMP2 driver Will Stevens will be joined on the entry by the mercurial Laurens Vanthoor (who has LMP2 experience with Oak Racing and Michael Shank Racing) and his Silver-ranked brother (and fellow WRT GT3 driver) Dries Vanthoor. The car, the ex So24! Liger JS P2 Judd, on Dunlop rubber, is confirmed only for a single race at present though, as WRT boss Vincent Vosse told DSC this morning, the team is looking for a way to continue in the class, either in the ELMS, or the FIA WEC. 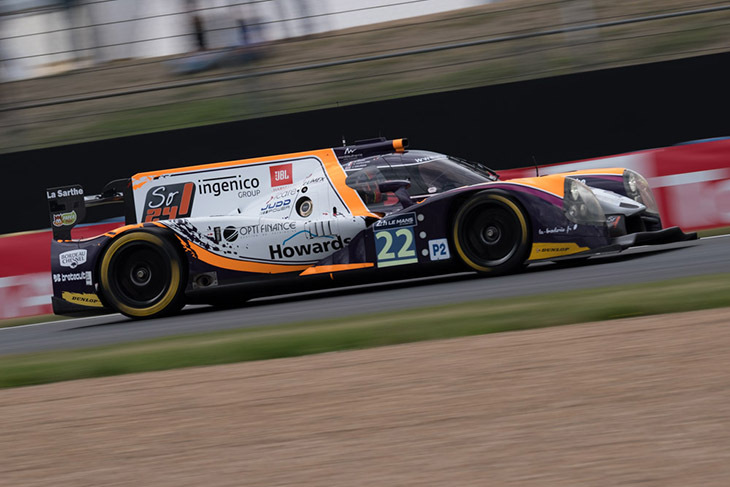 “I have looked at Le Mans and LMP2 several times before but have struggled to find a business case. “I have noticed though that there are now a lot of very good teams doing a good job there so the time is right to look again and this offer came from Onroak at a good time for us. To race at Spa of course is a perfect opportunity. No outing for Estoril’s ELMS season finale, nor any firm 2017 plan either in the ELMS or FIA WEC is currently in place with Vosse describing the business case, particularly for the WEC as “difficult” but WRT are looking, and are clearly eager to see what emerges now that their interest is made public. “I have to say that the Blancpain Endurance package is a concern. The rules around pit stops do not make me so happy any more. I understand why they (SRO) have introduced the timed stops but I am totally against it. “It means that a very good team can make no difference, and that is not why we race as we do. WRT are also active in TCR touring car racing with an alliance with Volkswagen that sees the team with cars entered in both the TCR International Series and TCR Benelux, as well as operating as VW agents for the cars in Germany and Benelux. 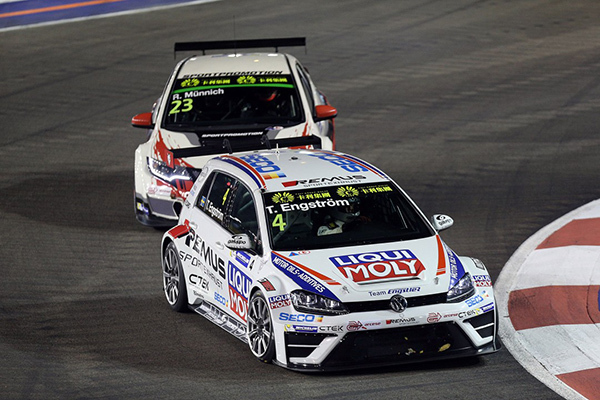 (The VW Golfs are seen below last year with Engstler Racing at Reed Bull Ring). WRT are clearly keen to move forwards. Will LMP2 be part of it in future seasons?